Every message is scrutinized through a mind blowing number of filters both human and computer. All filters are consistently tested for accuracy. Nothing to install or configure. 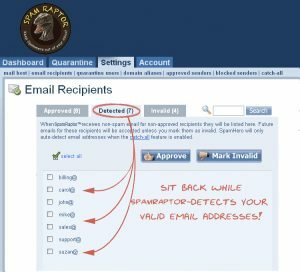 SpamRaptor™ learns as it stops spam and will even detect your valid email addresses for you. Easily whitelist senders and emails. Stop Spam Before It Reaches Your Inbox! 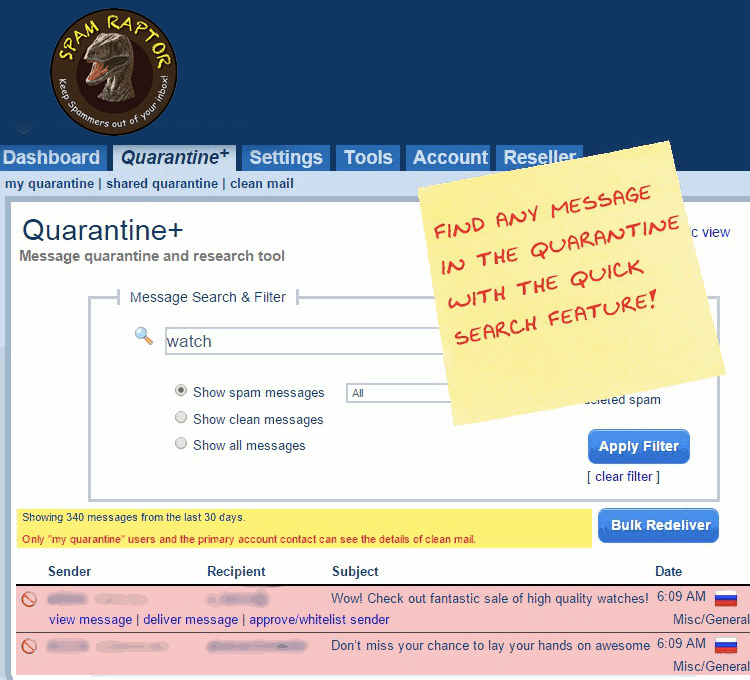 "The BEST Spam System we have ever used! 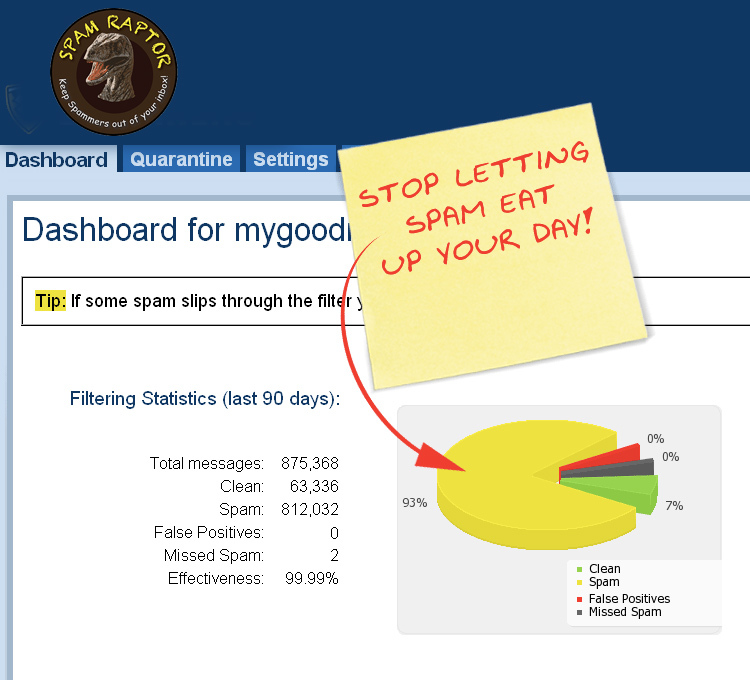 Blocks 99% of our spam. we used to get 300 a day per employee. Thanks guys it really works!" 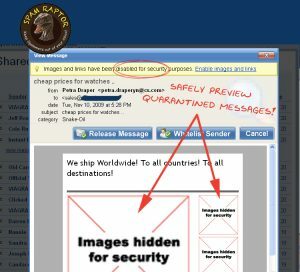 - Rebecca R.
Stop wasting time downloading and deleting spam and virus emails. 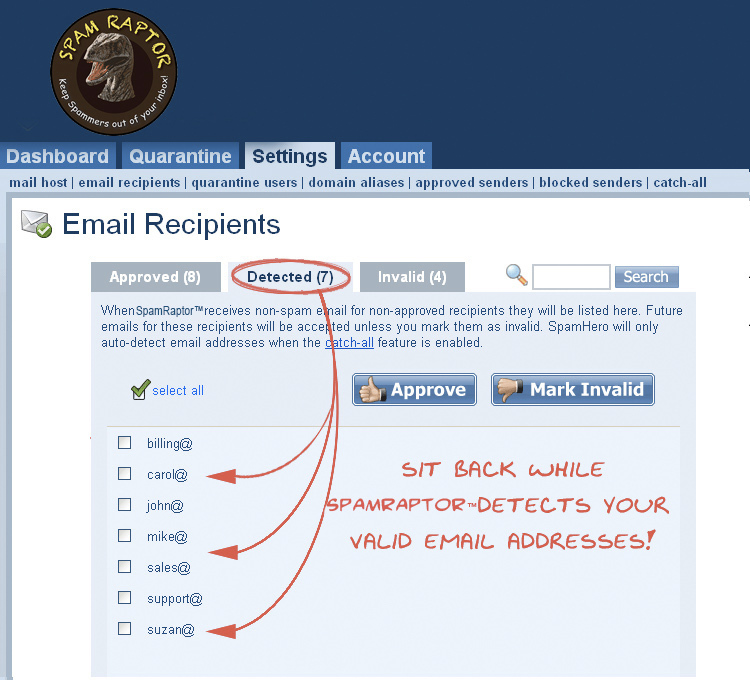 Let SpamRaptor automatically detect the email addresses on your domain. Never miss an important email. 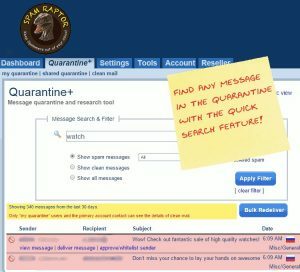 All spam is stored in a searchable quarantine. 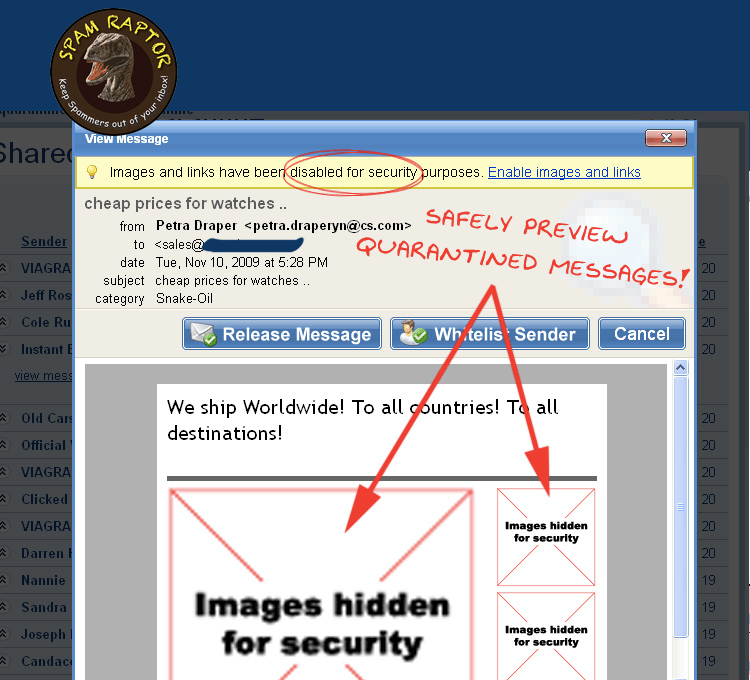 Safely preview quarantined messages with the links and images masked. Take a Tour or Start Your Free Trial now!